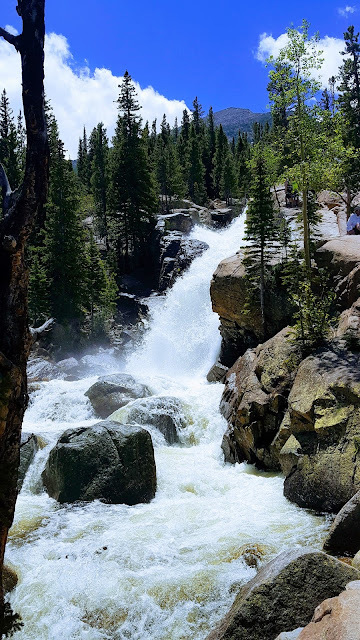 I am sorry that I couldn't post the second part of Our Rocky mountains trip earlier. Here is the Day 1 itinerary. 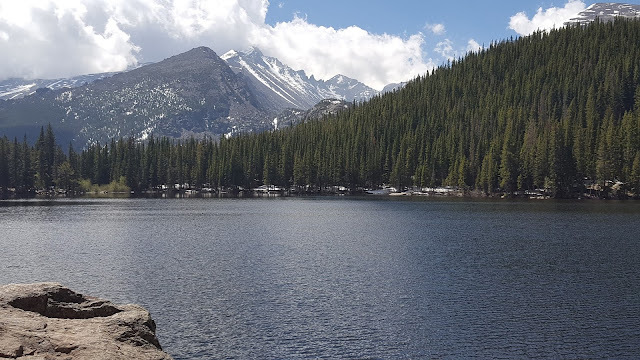 While we covered Trail ridge road and Grand Lake on the first day, we covered remaining famous places on the second day. There are many beautiful lakes in Rocky mountain national park which can be accessed by hikes and trails of different difficulty levels. 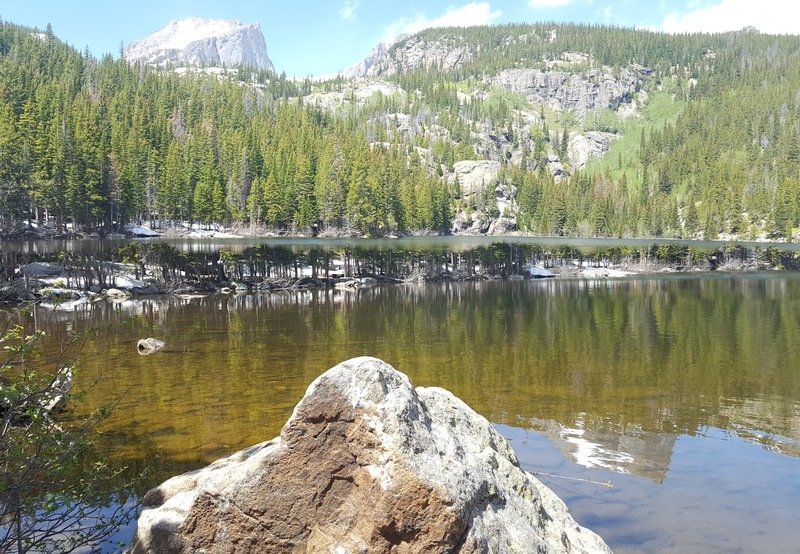 Sky Pond, Emerald Lake, Chasm Lake, Bluebird Lake and Bear lake are some of the lakes which provide excellent views of Rocky mountains from the walking trails. Keeping in mind that we have a 2-year-old who cannot walk long distances without support, we decided on the simple trails. This is the easiest and the most popular trail we can go with kids. 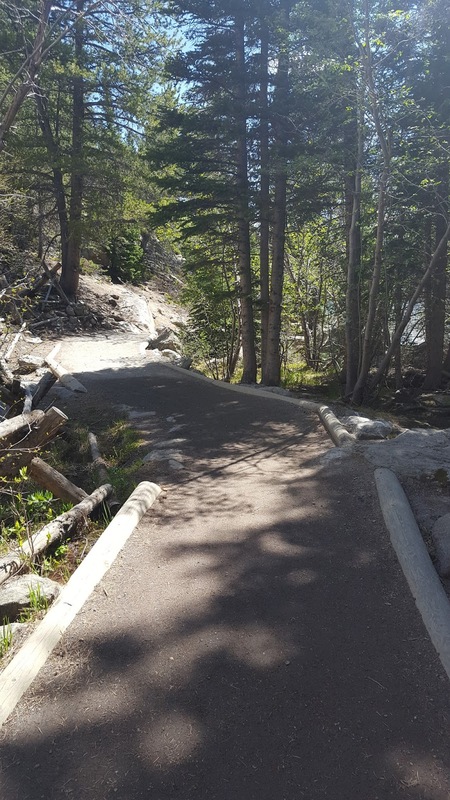 It's a 0.6-mile loop around the Bear Lake with beautiful views of Rocky mountains. There are many other trails starting from this area and so, parking is a bit difficult to get. It is better to come here by 8 AM at least. If parking is not available, there is a bus shuttle for travelers. I think it took around 1 hr or less for us to complete the loop. Then, we decided to take the trail to 'Alberta Falls'. We chose this trail as it was only 2 miles but what we didn't know was that the terrain was not even. It is not a paved road walking trail, it has ups and downs with the trailhead elevation of 9200 ft. We took a lot of time to reach the falls stopping in the middle for snacks and water, but it is worth the effort completely. The waterfalls are amazing. Water is gushing with a great force. Please ensure that you take more water and snacks when you go with kids and it might take more time to reach. We could complete these two hikes by 2 PM and by the time we had lunch in Estes park, it's 4Pm. Since we had to return to Colorado Springs early, we couldn't visit any other places. Other places which are worth visiting with kids are Chasm lake, Shadow mountain lake, Lily Lake and Alluvial Fan. 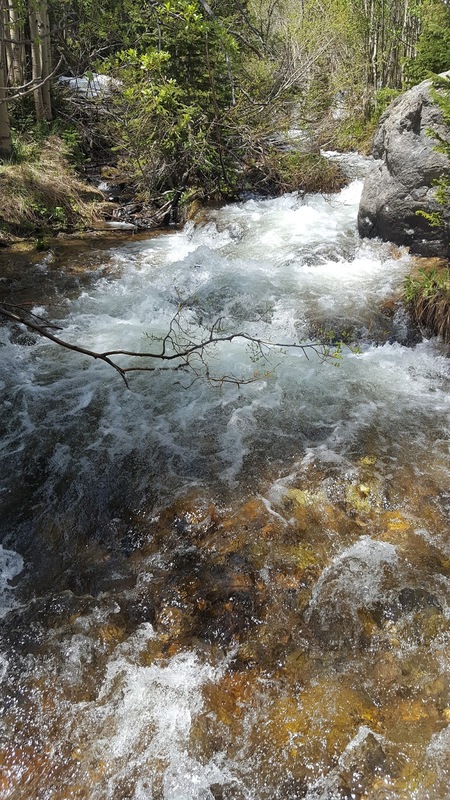 Alluvial Fan is a picnic spot with the river nearby. The old fall river road is famous to visit in the Fall season. Old fall river road was closed when we went in June. Estes Lake is also a nice place to boat, fish or just hang out in the evening. I hope, you liked this itinerary. Do let me know in comments. 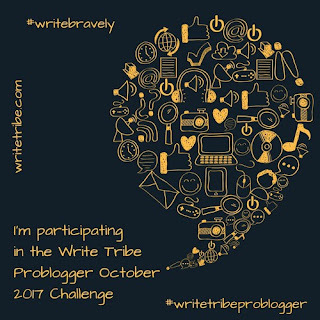 This #TravelTale is written as part of Write Tribe Problogger challenge. #Writebravely #WritetribeProblogger. Lovely pictures and though you missed out on a few things, you lived every moment of what you saw. So, good going! Wov those are fabulous pictures. Visiting that part of the world through your eyes felt like being there. I have not been to Colorado since 1979. And those easier trails would be more my speed now - not due to inability to walk (I regularly exercise walk) but due to balance problems. Those pictures are so lovely. 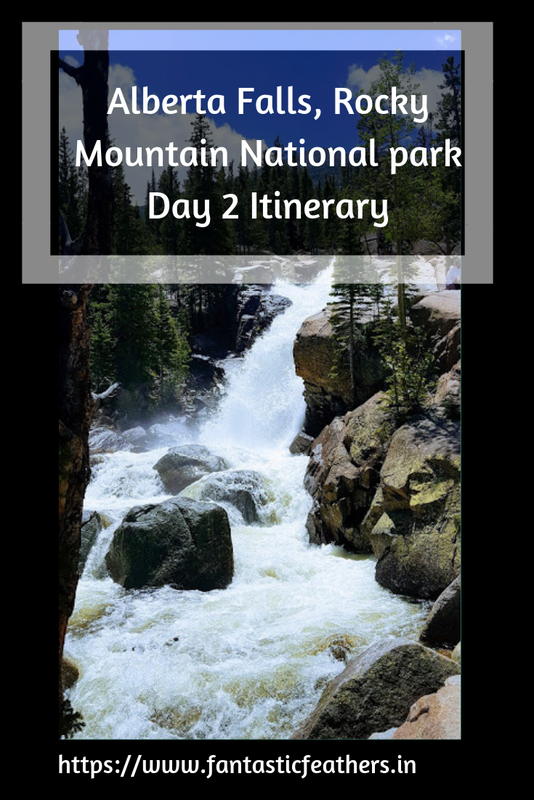 I've been to Estes Park and Rocky Mountain National Park both. It is such a beautiful part of the United States. Such a beautiful place. I loved the pictures. How you managed with kids is really great! Such beautiful pictures and I am sure you had a great time. Thank you for sharing this. It is brave of you to go hiking with two-year old. Sounds like a great trip. The pictures are beautiful. True Parul. Enjoyed the trip. Rocky mountain national park should be on the top of your list when you visit Colorado Vineetha. Yes Anchal. Thanks for dropping by. The pictures look amazing. Reminded me of the time when I had gone to Toronto last year, to Algonquin Provincial park.Great tips for families traveling with little kids, helpful. Beautiful pictures and words. Enjoyed the trek with you. And your book reviews will definitely help my reading list, will check them soon. Wow! Lovely pictures!Looks like you had a nice time! The photographs are gorgeous! I'd love to take those walks! It looks like you had a fabulous adventure. Yes Tulika. We could do it with a 2 yr old.